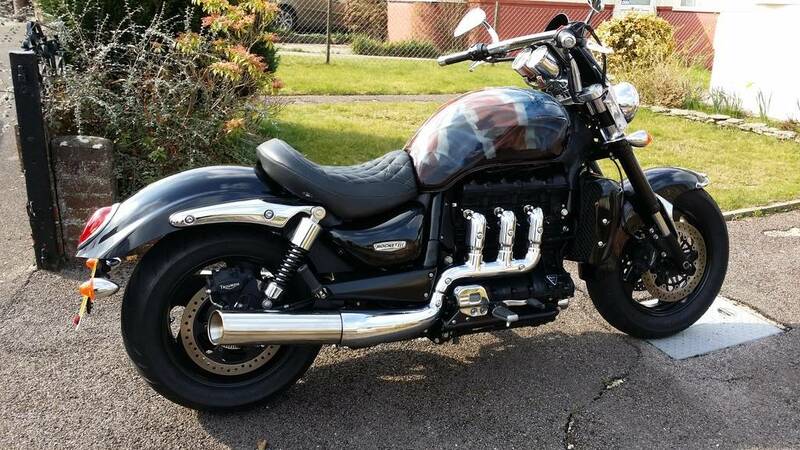 hi lads and lasses.....currently own a Triumph rocket 3 roadster and just sold my goldwing that the wife and i used to travel everywhere on but due to back issues, she is unable to ride pillion anymore. about 7 years ago my gsxr1000 went for service and i had a b king for the day...i vowed i would get one as soon as possible.....yesterday that day arrived!!!! '08 with 11k on the clock with a few extras including two brothers carbon end cans. rode it back from buxton and loved every minute of it. not a lot in it power wise between the rocket and the b-king but loved how nimble it was. 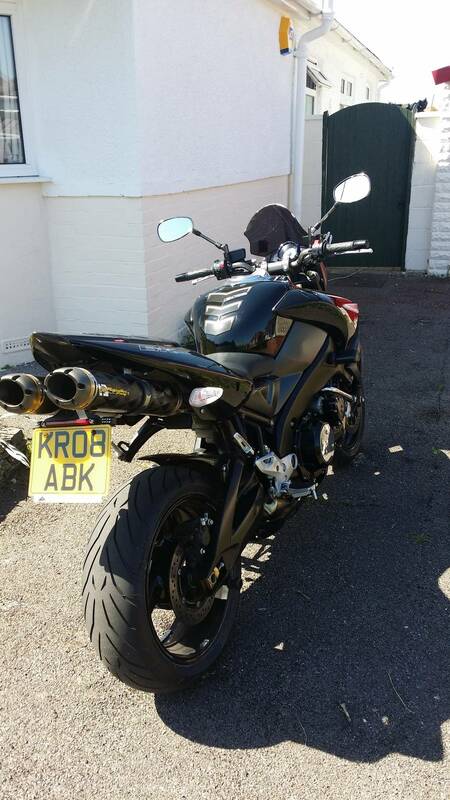 keeping the rocket for now but dont want 2 bikes so will see what happens over the summer. I have never ridden nor seen a Triumph Rocket in reality, but I always admired this bike in the motorcycle press. Especially loved the cherry red coloured one . nice bike,but you do know its the slower model you have there,the silver one,s are a lot more powerfull. Tails painted his bike several times, so he has plenty experience with the different hues and saturation along with their direct effect on the power gains, photon particle accumulation and the reduction of friction. I am in the New Forest so we are near neighbours. My bike is currently off the road getting a repair done but hope to get it back mid to late May in time for the Northampton rally. Maybe you can join us for that? By the way my only experience of the Rocket 3 was on a Europe tour about 4 years ago. A friend had one and came along. 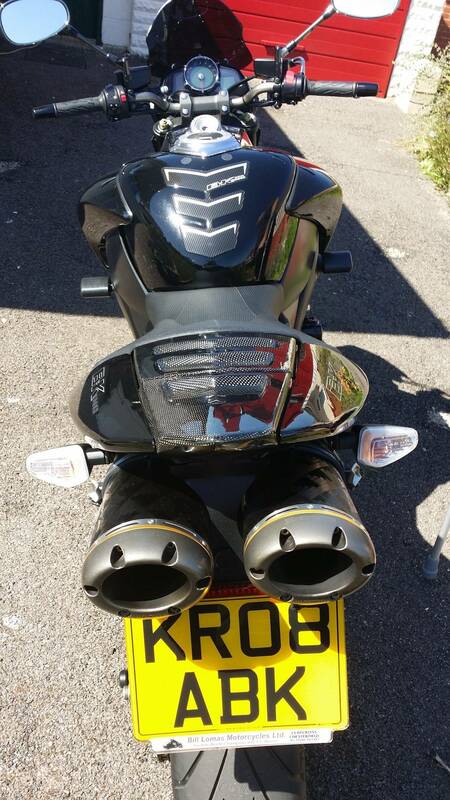 His was nearly new but he had sooooo many problems with brakes and electrics that he sold it the day we got back! Hope yours is more reliable! my brothers wedding late may 23-26 but if it doesnt conflict i am up for the meet. i have been riding rockets since 2008 and never had a bad one yet.....my first was an '08 i traded in after 28 months with 37k miles on the clock.....needless to say we did some miles on that one. the rockets does have a few known faults on the 06-07 plated bikes but triumph honored the faults outside warranty no matter what year. 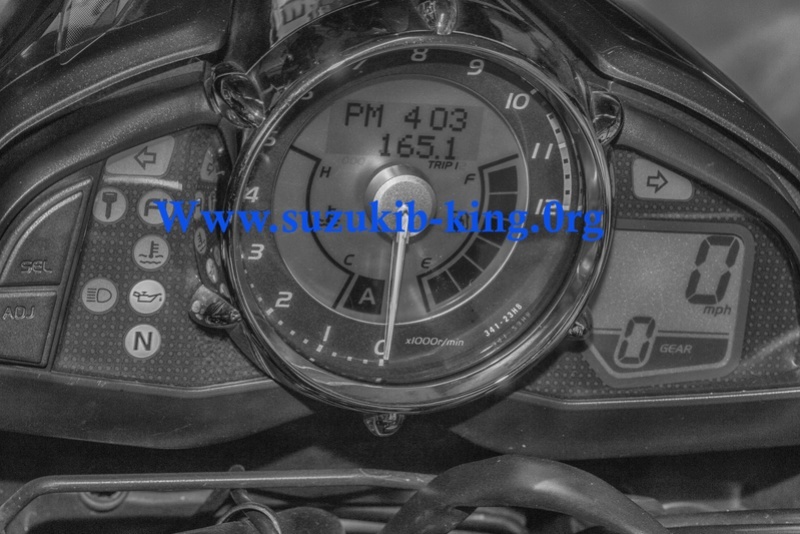 i used to be the membership sec of the r3oc gb so i got to learn about the bike and its faults.